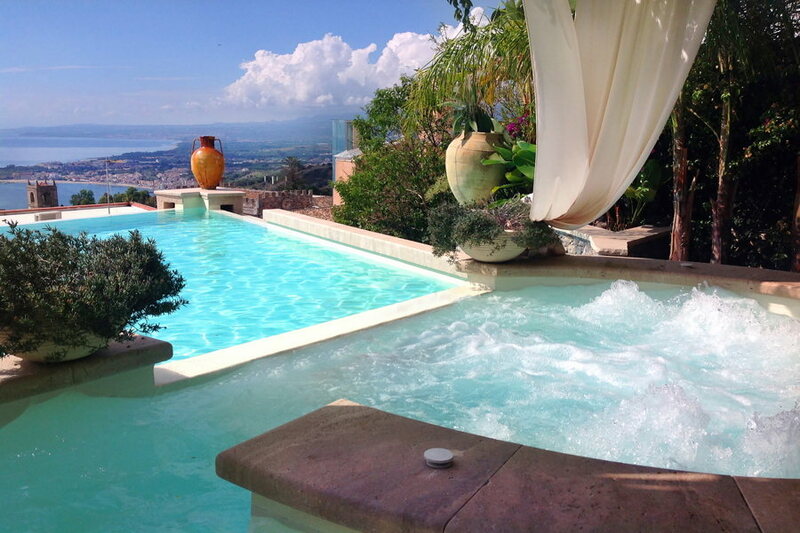 Sorry, Villa Taormina is not available for the selected dates. 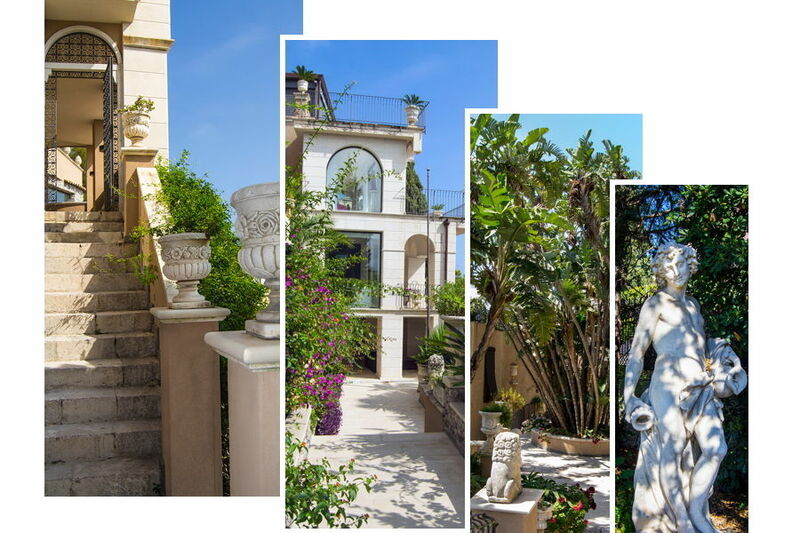 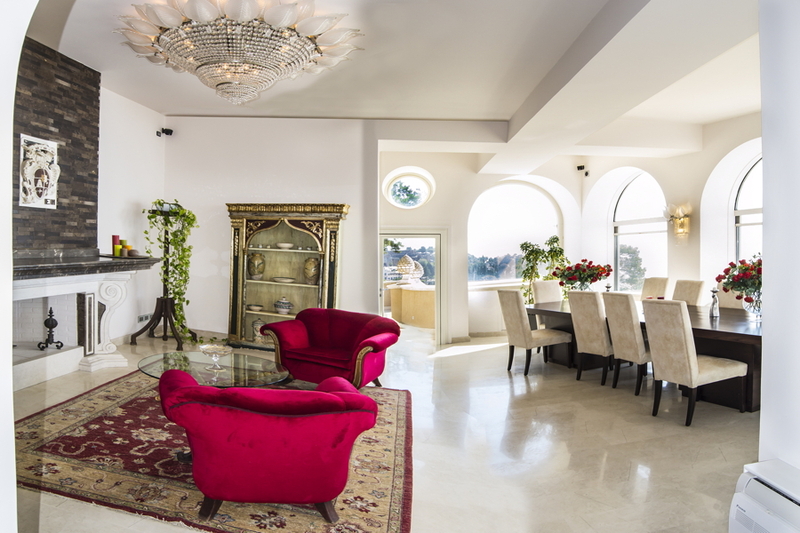 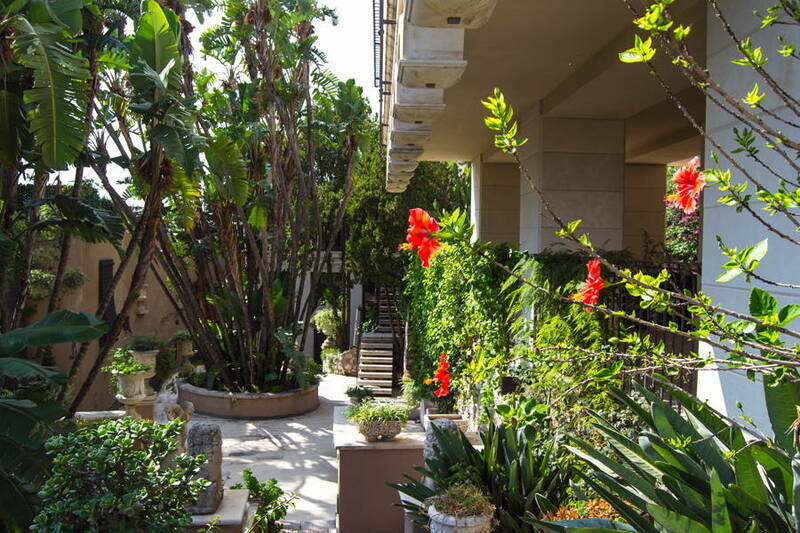 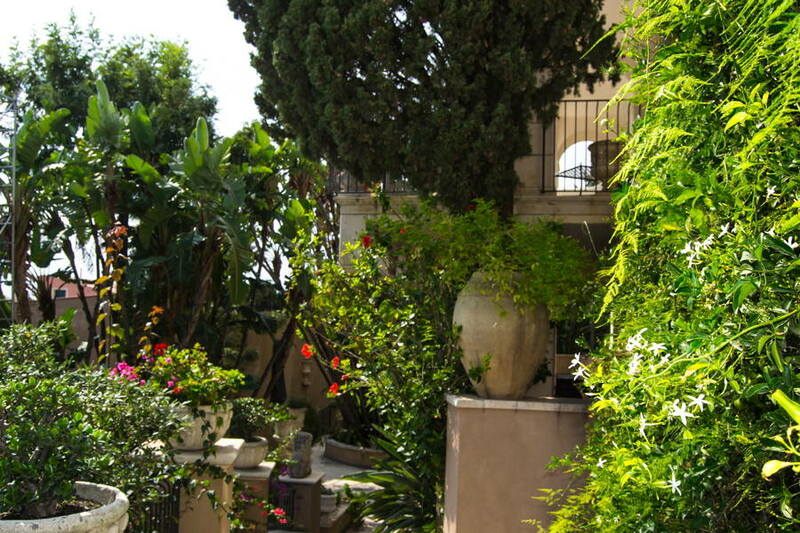 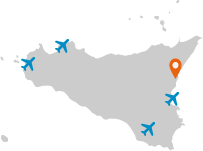 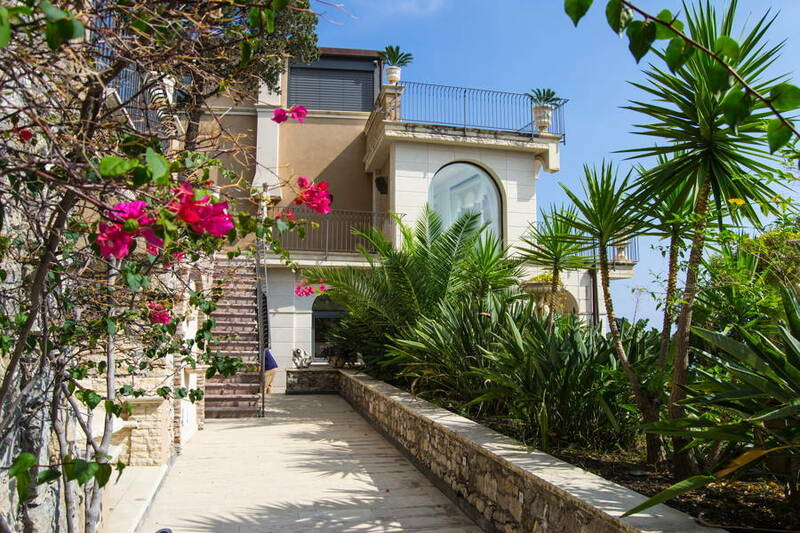 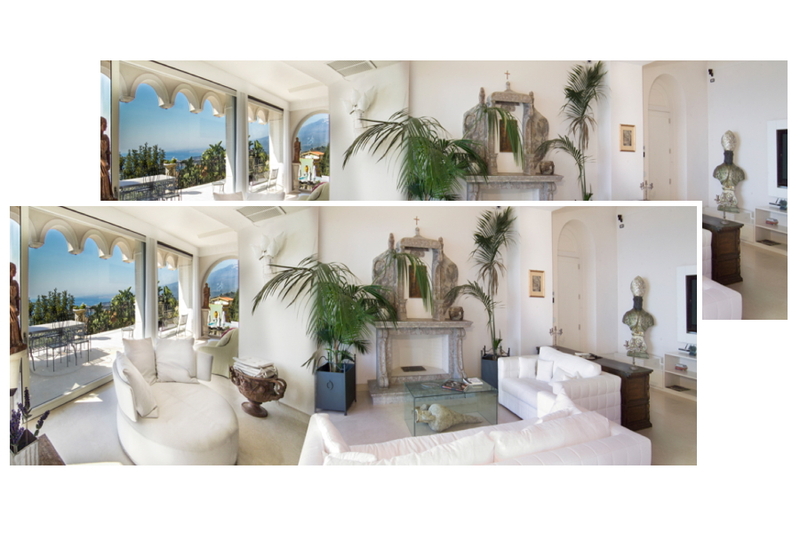 In one of the most well-known and stylish towns in western Sicily, you’ll find Villa Taormina. 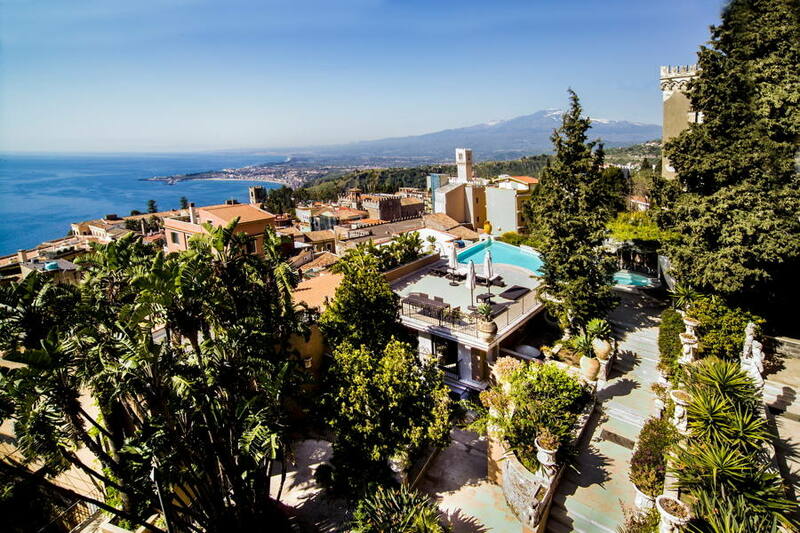 This magnificent villa, set amongst ancient trees, plants and colourful flowers, offers an elegant and luxurious space in natural surroundings with an inspiring panoramic sea view. 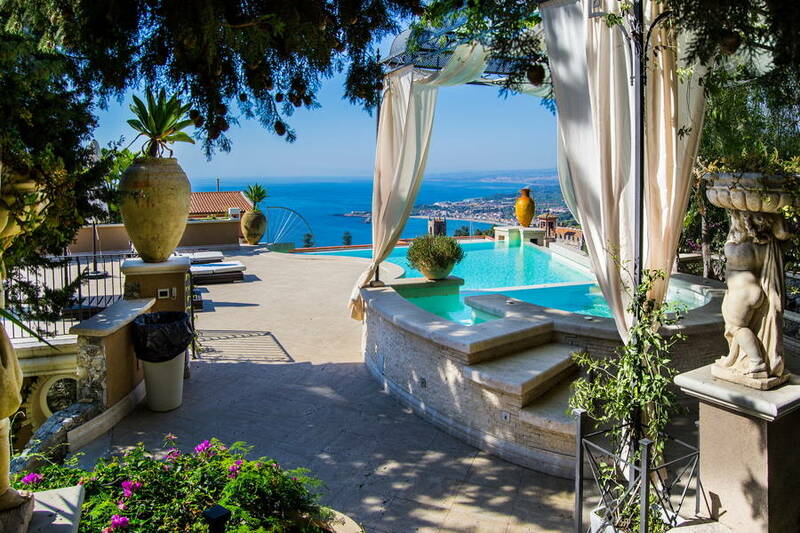 In the well-tended garden, you’ll find the infinity pool with hydromassage corner and a fantastic view, as well as a wellness area. 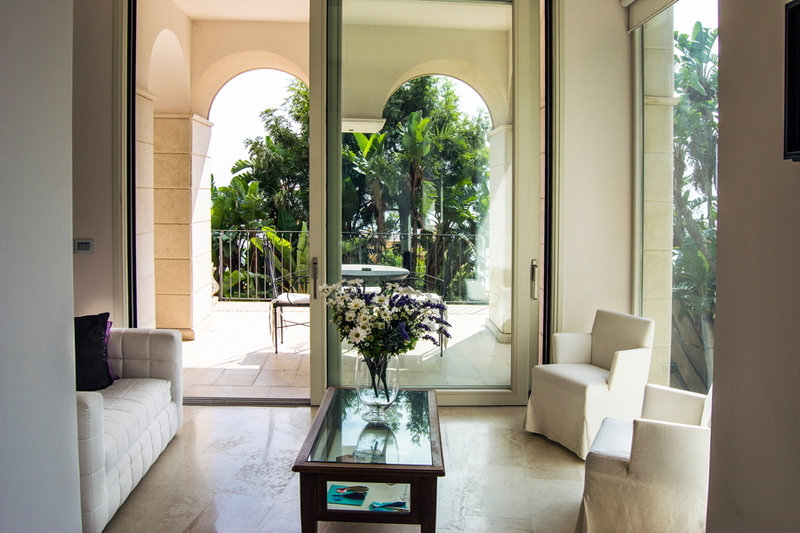 The villa is surrounded by a number of furnished terraces, all immersed in scents and colours which combine in perfect harmony. 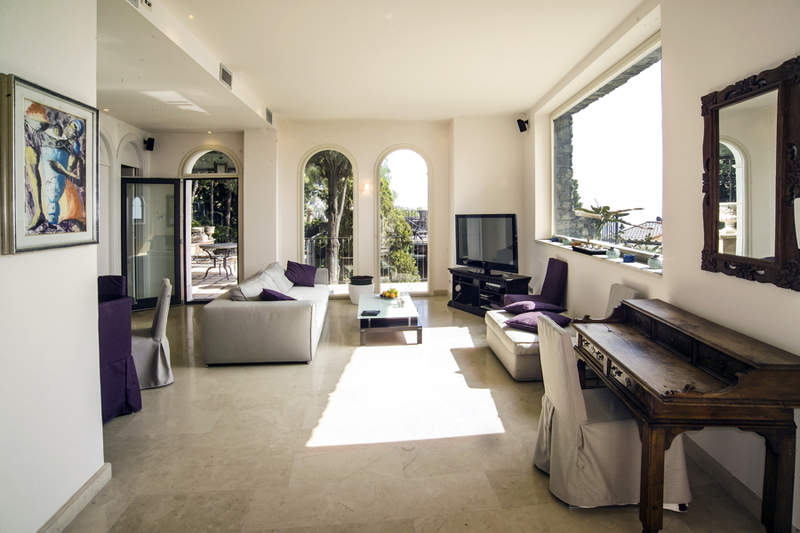 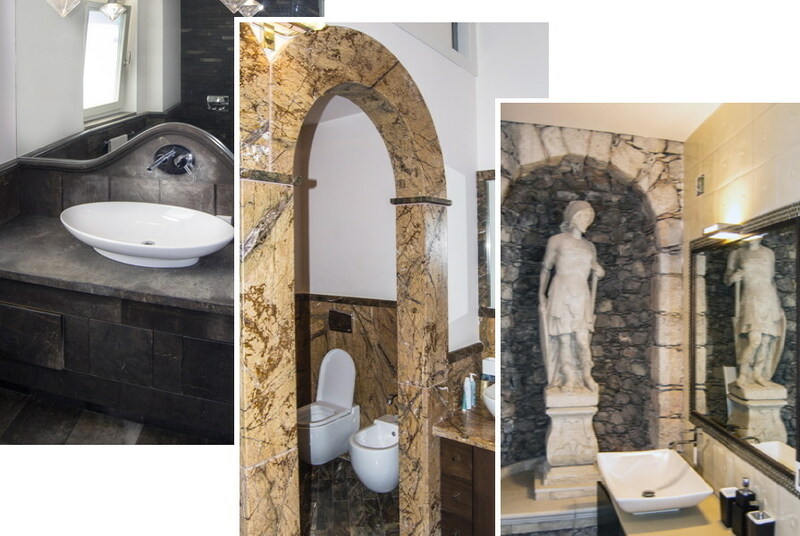 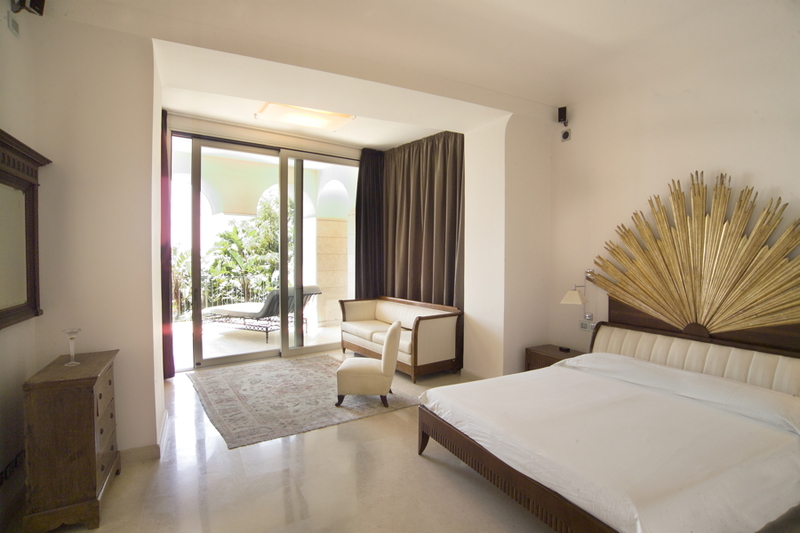 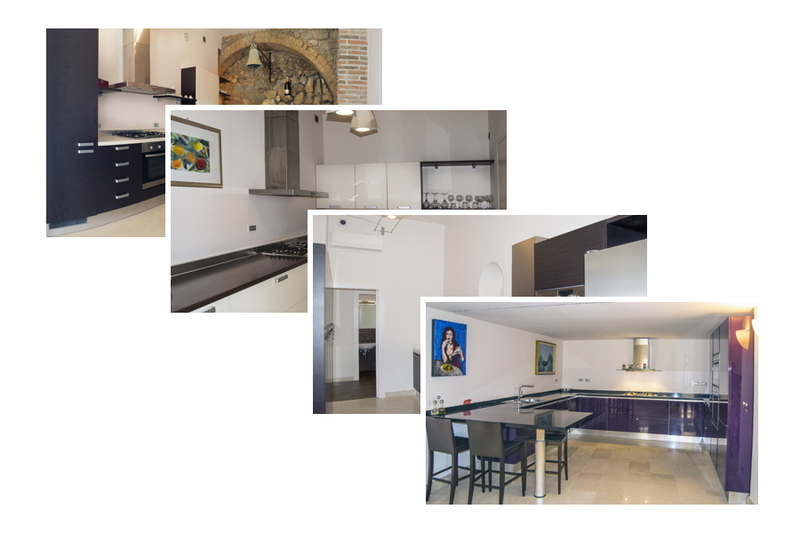 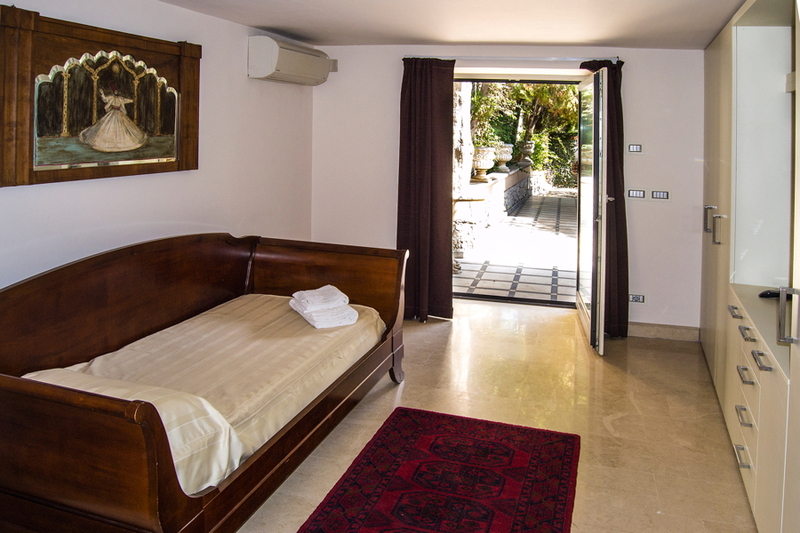 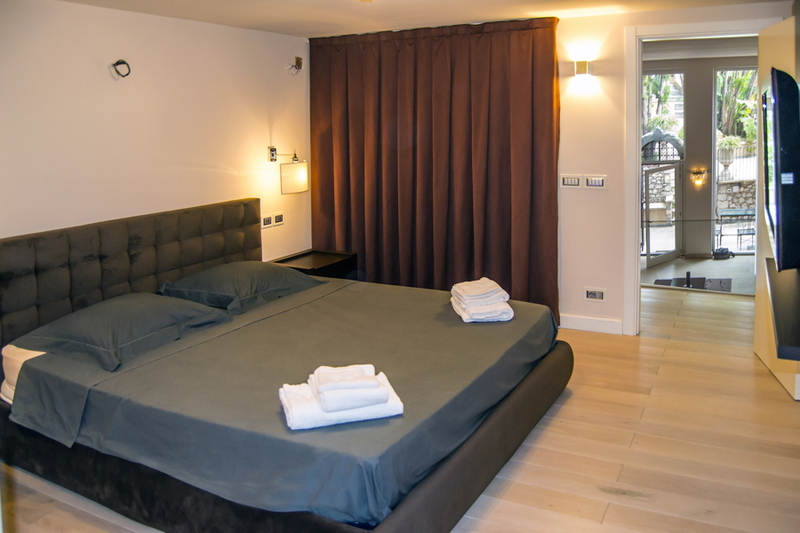 Inside Villa Taormina are six beautifully furnished bedrooms, which meet the demands of a more modern lifestyle with Wi-Fi, air conditioning and satellite TV.